Frédérick Carnet (born French the 24th of December 1972) took his first steps in photography at the age of twenty, at the beginning of the 90’s thanks to a friend, a fashion photographer, who introduced him to a world of which he did not know the existence. He very quickly decided to do everything in his power to turn professional. He therefore started to display his work with the FNAC Galleries network. Rather than becoming a photographer’s assistant, Frédérick Carnet preferred to work in Toros Aladjajian’s black and white photography laboratory, whilst pursuing his personal work. It was during his part-time activity in the laboratory that he accomplished 3 series : L’Appartement 33, Eclipses and Une Histoire Comme Si. 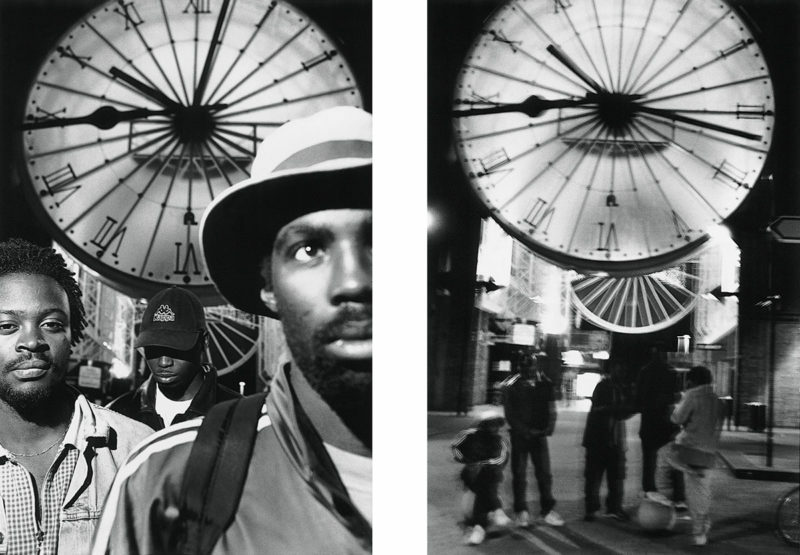 Between 1998 and 1999, whilst he was in the middle of completing the Eclipses serie dedicated to Hip Hop Culture in Cergy (Val d’Oise – France), he was awarded a Special Honour of the Kodak Prize for Photography Criticism, a scholarship from the Regional Fund of Contemporary Art of Ile-de-France (FRAC Ile-de-France) and an honour as one of the finalists of HSBC Prize for Photography. From 2000 onwards, his desire to dedicate himself to shots exclusively increased. In January 2011, Frédérick made the decision to put his career on hold as an advertising photographer.The first one started in Japan from October 2011 to January 2012 with a photographic study of Nature. From this serie, Frédérick published a book and an exhibition, Nippon 2011. From January 2015, he dedicates his time to his personal artistic projects only. He now lives in Saxony (Germany). The serie ECLIPSES was shot from June 1997 to January 1999 in Cergy (A city from the north-west suburb of Paris) during an artistic residency. Within the limits of the City, this serie presents the Hip Hop community of Cergy from its Rappers, Dancers, Djays a to its Graffiti Artists.